Math at Home, a parent's guide to mathematics education, was written expressly for families of K–12th grade children. Each booklet contains straight-forward information, practical suggestions, and resources for families who wish to better understand the importance of mathematics and the role they can play in helping children learn this critical subject. 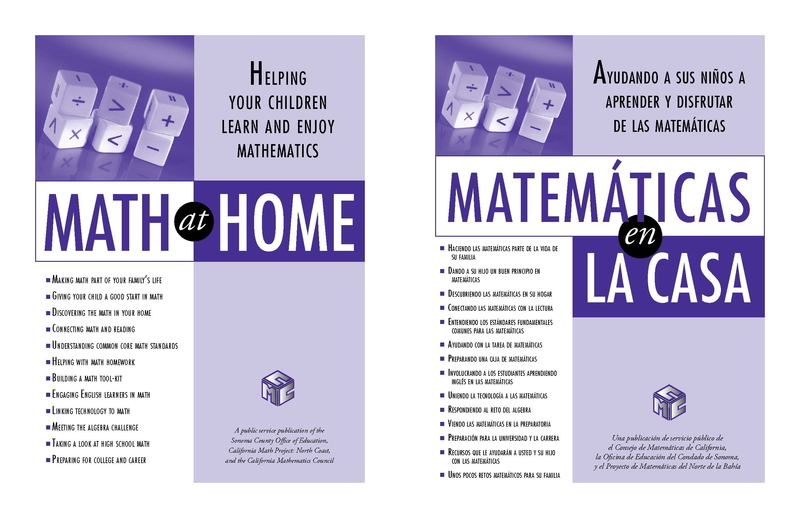 The K–12 Math at Home parent guides to mathematics education are available in either English or Spanish. To view and/or download a FREE copy of the Math at Home parent guide, click on either of the links below.